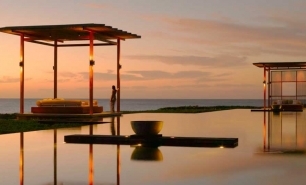 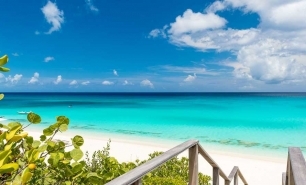 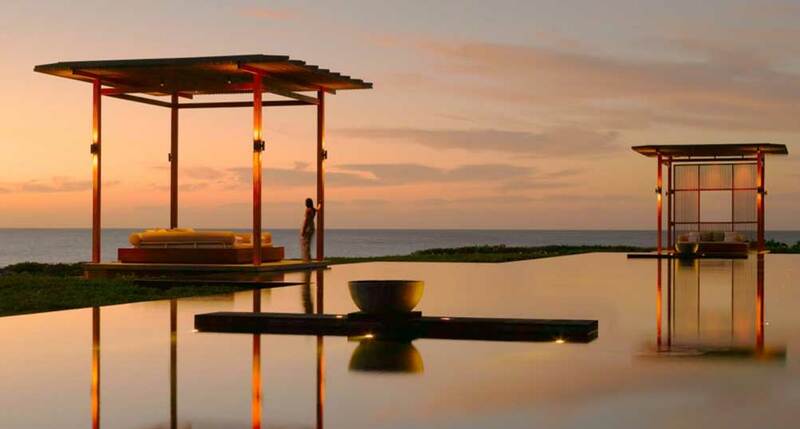 Amanyara, the only Aman resort property in the Caribbean, is located on the coast of Providenciales, one of the Turks and Caicos Islands in the British West Indies. 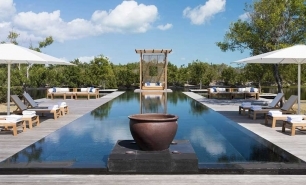 Amanyara enjoys a pristine location near the Northwest Point Marine National Park and is far removed from the overbuilt eastern side of the island. 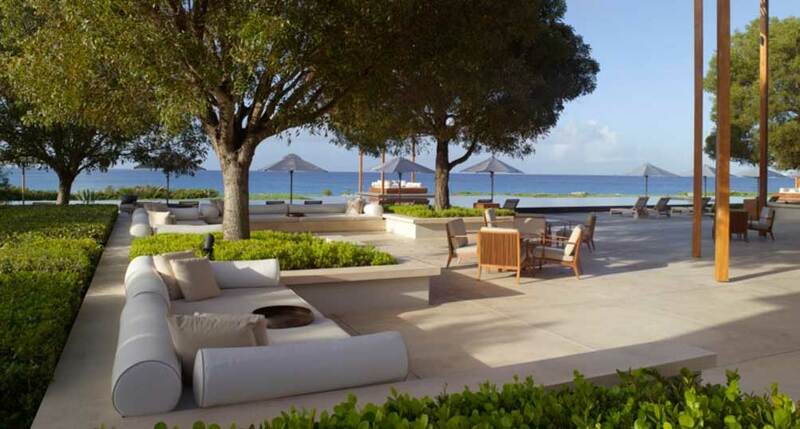 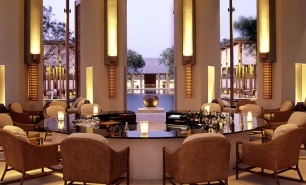 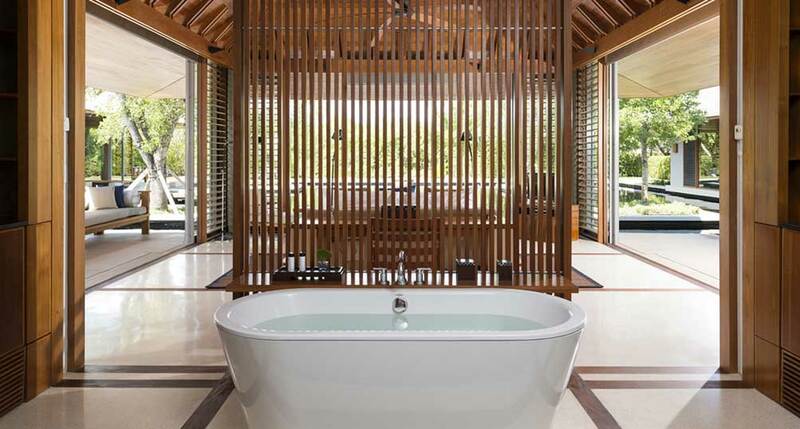 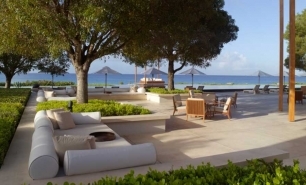 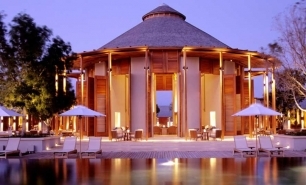 The resort, designed by renowned designer Jean Michel Gathy, has a distinct Asian influenced style. 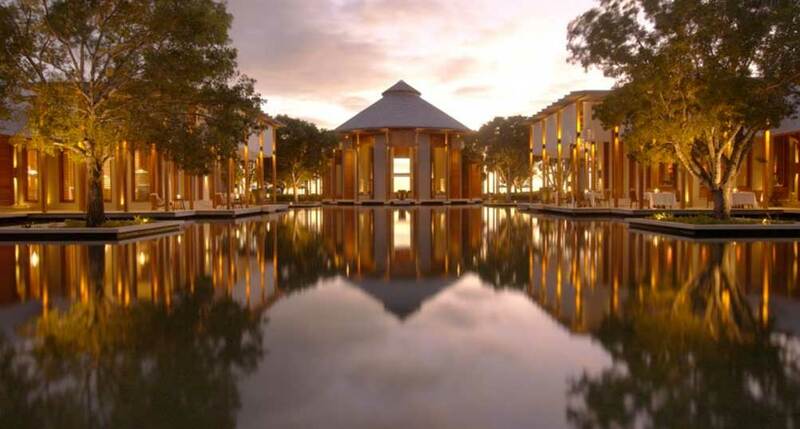 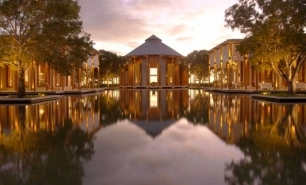 The buildings are open, light, and minimalist, with flowing streams, ponds, and a large infinity pool. 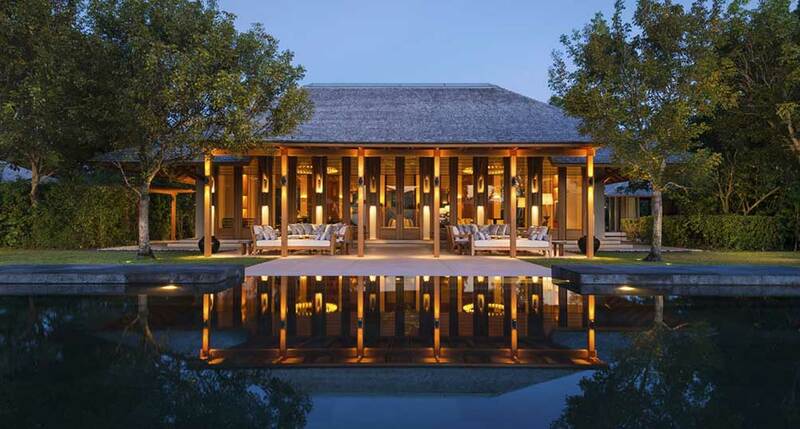 Amanyara’s 40 pavilions are styled in glass and teak with terraces, slatted shutters, and retractable windows on three sides. 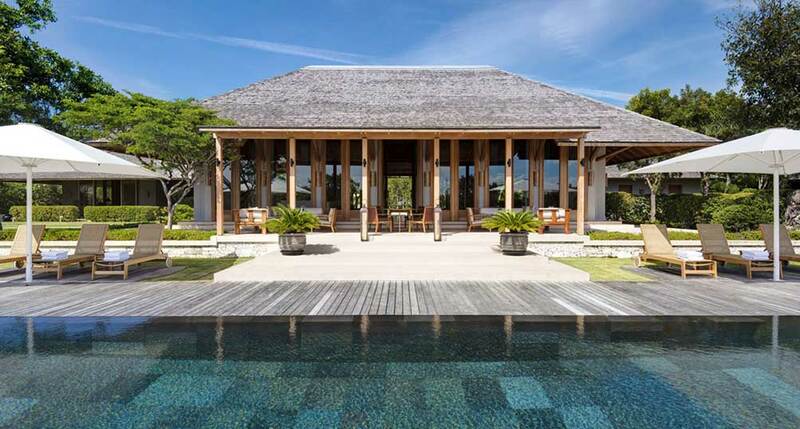 Standard Pavilions are situated on-shore around artificial ponds, Pool Pavilions feature infinity pools and are located on-shore around ponds, and Ocean Pavilions are positioned along the oceanfront, some of which have access to sandy beach or coves. 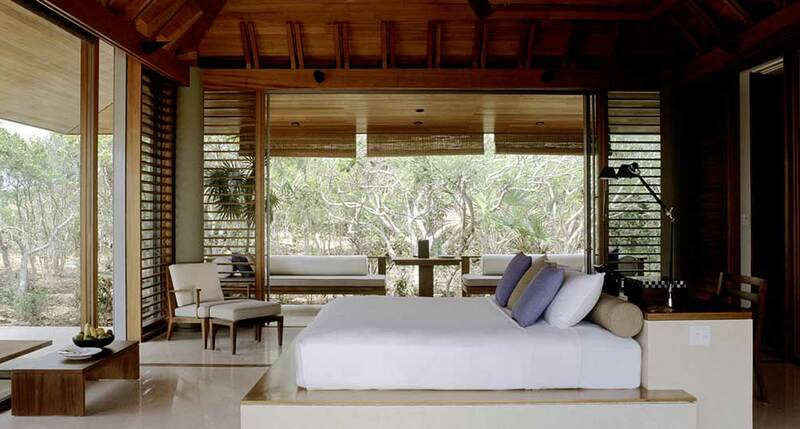 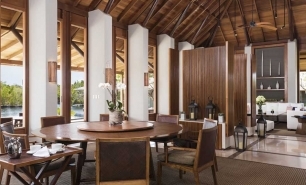 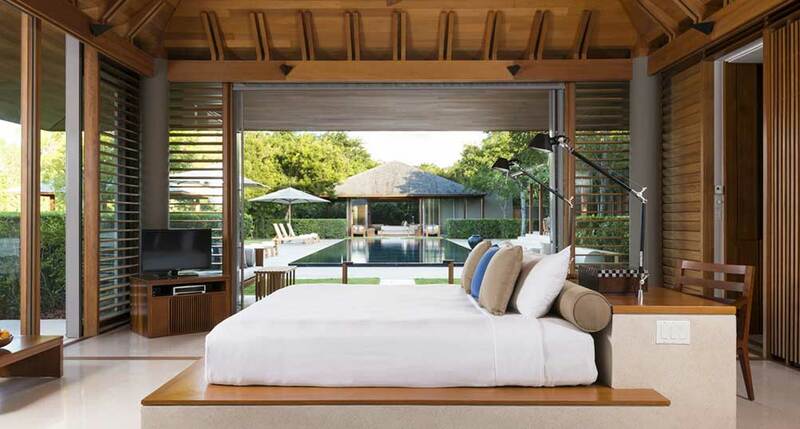 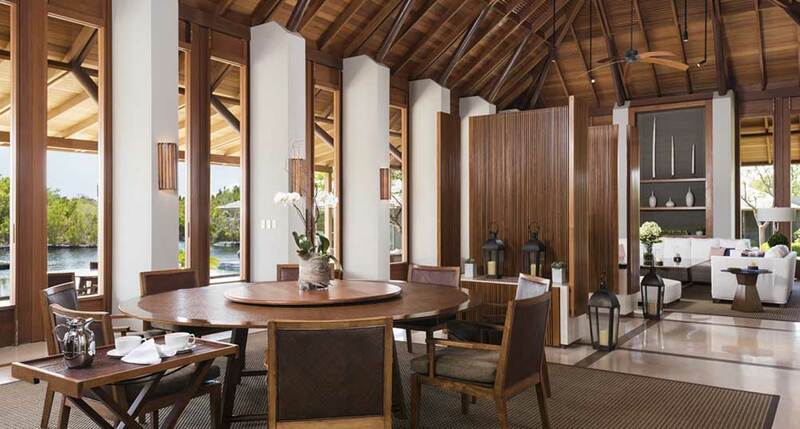 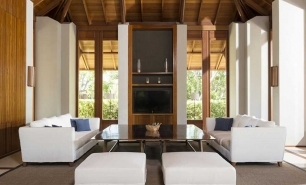 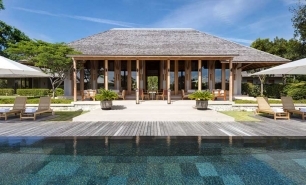 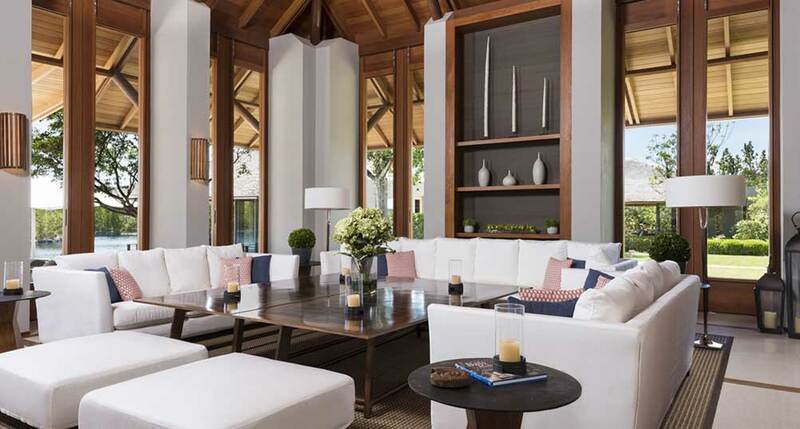 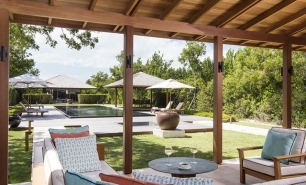 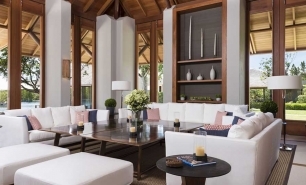 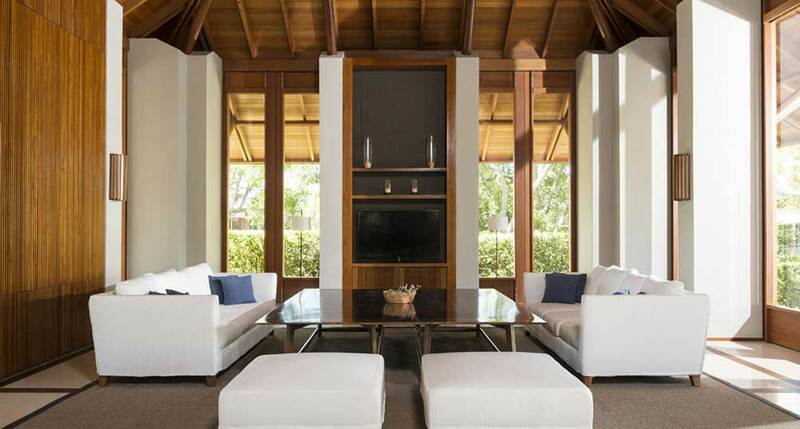 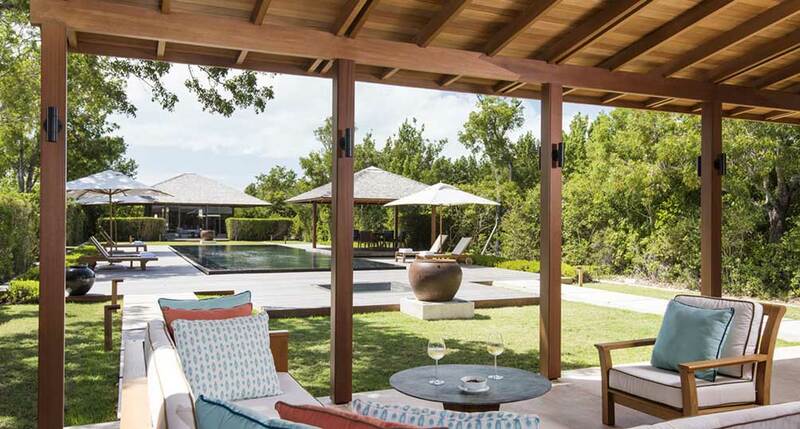 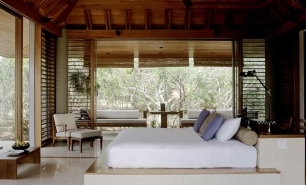 Amanyara also has 20 private Villas available for rent, comprising 3, 4 or 5 bedrooms with either beach front, over the pond, or garden locations. 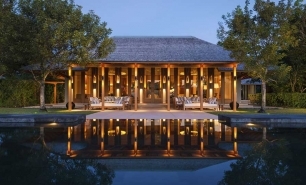 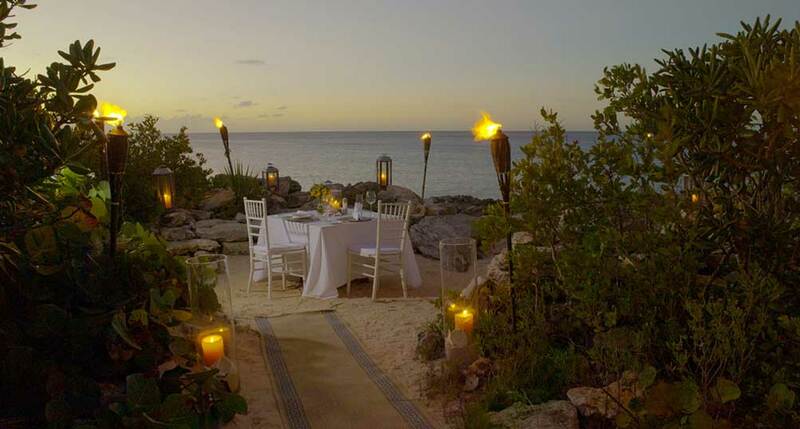 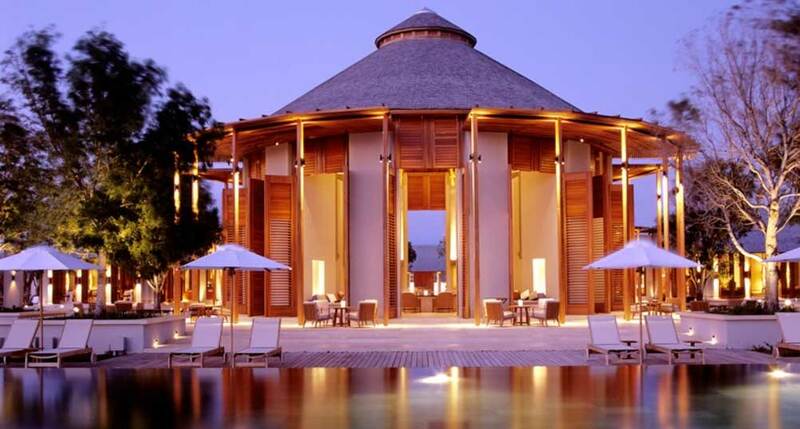 Amanyara ‘s restaurant serves classic Asian and modern Mediterranean dishes with an emphasis on fresh seafood. 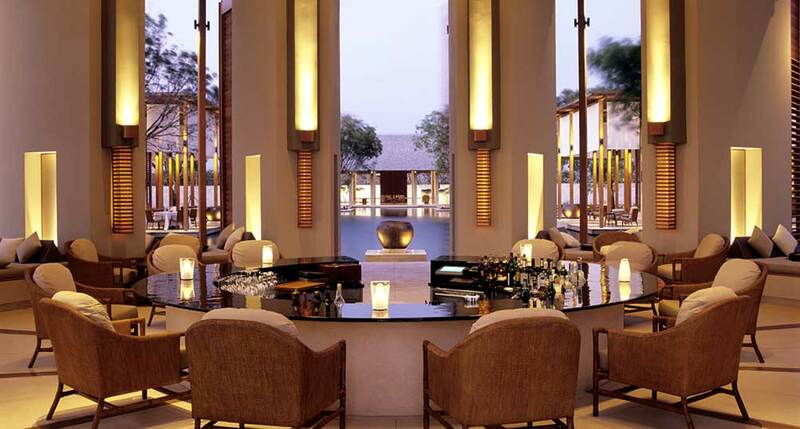 Located by the main pool, The Bar offers cocktails, aperitifs, and cigars. 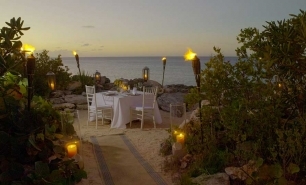 Located on a dune above the southern end of the resort’s beach, the Beach Club provides a casual dining venue throughout the day and most evenings. 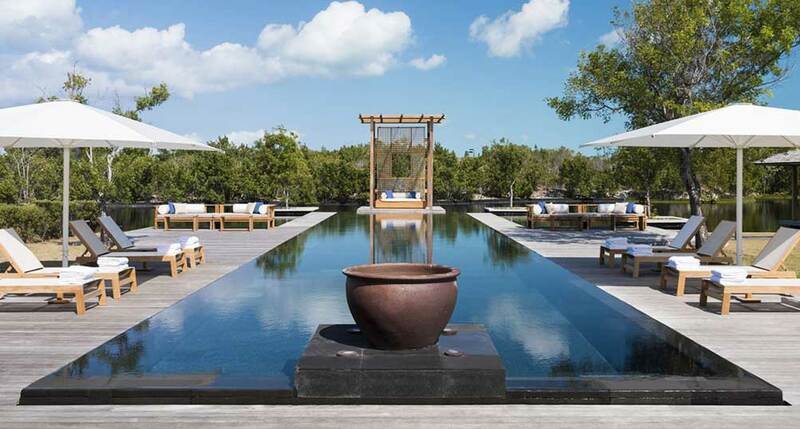 Amanyara has an excellent spa, a fitness center, library, tennis courts, and a movie theater available for private screenings. 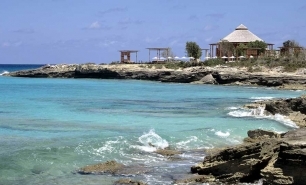 The resort runs diving excursions into the waters of the Northwest Point Marine National Park, which has some of the world’s best wall and reef diving. 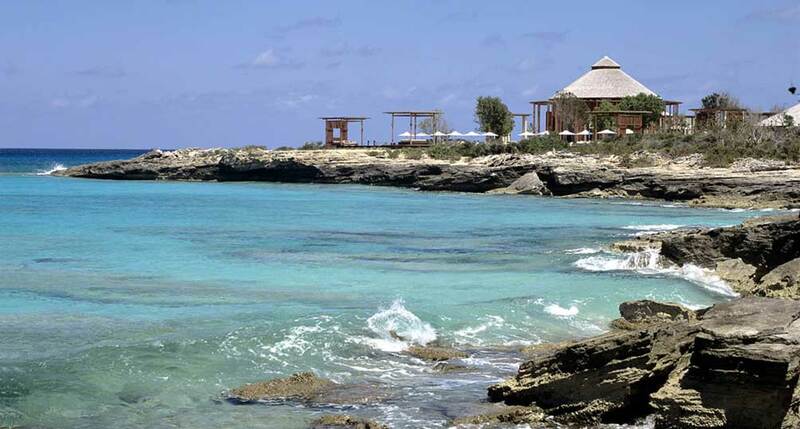 The dry seasons runs from November to May and is the best time to visit. 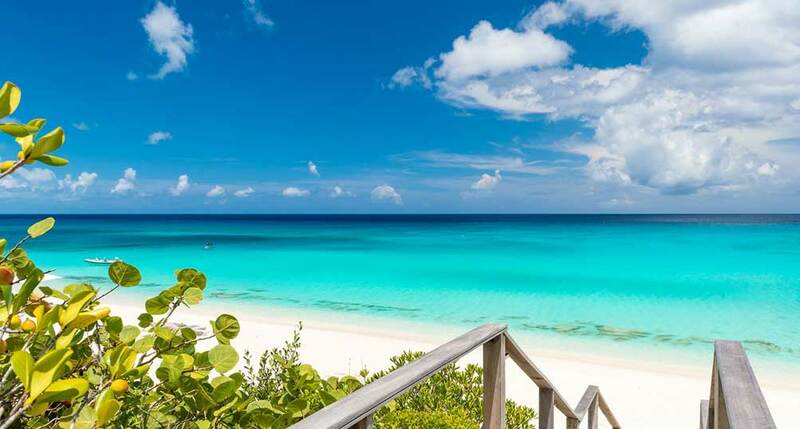 Most rain falls between June and October. 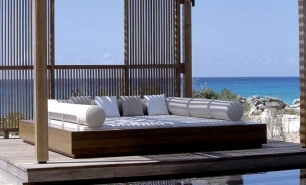 The period between December and March is the coolest, when the temperatures average approximately 26oC (80oF). 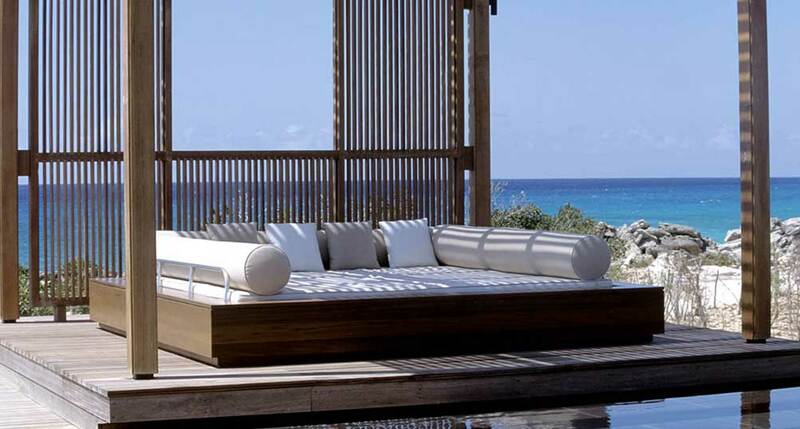 June to October are the hottest months with daily average temperatures reaching above 30oC (90oF).